Loads are sold at a percentage of wholesale value and have historically been very profitable for retail stores and wholesalers due to these loads' wide variety of items and low prices per unit. We have researched these items and they are currently selling online for over $925 total. You average cost per piece is only $2.48 per unit. Please note that these are mostly all brand new still with original retail packaging - a few store returns may be included. These items have NOT been tested, or inspected to ANY extent. 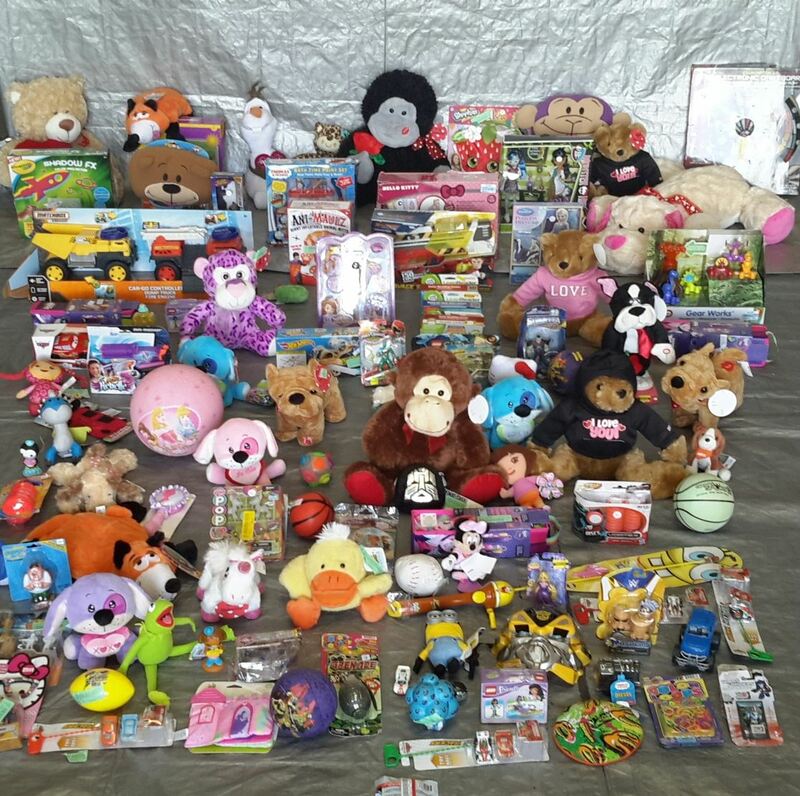 Examples of Items that may be included: Dolls, Race Cars, Remote Control Cars and Trucks, Plush animals, toy guns, games, balls, swords, and more. Brands may include: Fisher Price, Disney, Nickelodeon, Hot Wheels, Nerf, Matchbox, My Little Pony, Star Wars, Lego, VTech Toys & More. Please see picture as it contains the exact 130 items you will receive. These will ship in 4-5 boxes. Please contact us for a shipping quote. And as always, local pick-up is available and FREE! WHOLESALE LOT OF ASSORTED NEW TOYS APPROX. 130 ITEMS CURRENT ONLINE SALE PRICES $925++ #3 Loads are sold at a percentage of wholesale value and have historically been very profitable for retail stores and wholesalers due to these loads' wide variety of items and low prices per unit. We have researched these items and they are currently selling online for over $925 total. You average cost per piece is only $2.48 per unit. Great for Online Re-sellers, eBay and Flea Market Vendors. Please note that these are mostly all brand new still with original retail packaging - a few store returns may be included. These items have NOT been tested, or inspected to ANY extent. Examples of Items that may be included: Dolls, Race Cars, Remote Control Cars and Trucks, Plush animals, toy guns, games, balls, swords, and more. Brands may include: Fisher Price, Disney, Nickelodeon, Hot wheels, Nerf, Matchbox, My Little Pony, Star Wars, Lego VTech Toys & More. Please see picture as it contains the exact 130 items you will receive. Click the button below to add the Wholesale Lot of Assorted New Toys Approx. 130 items Current online sale prices $925++ #2 to your wish list.